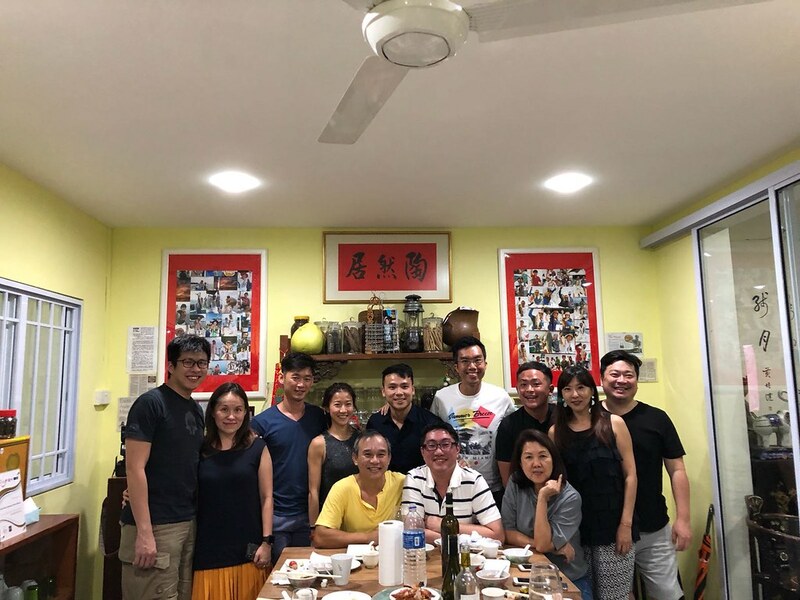 Together with 10 other foodie friends and after waiting for a good 2 months, we finally get to check out Lucky House Cantonese Private Kitchen (陶然居) at Upper East Coast Road. 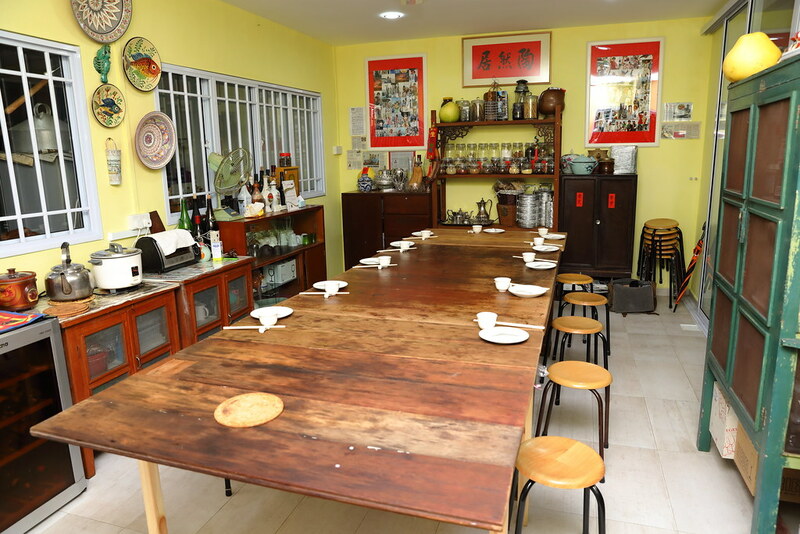 The venue of the private dining is actually at Chef Sam Wong's home. It opens on weekday and every night he can only accept two table of guests. We paid $80 per pax for a 8-course meal. 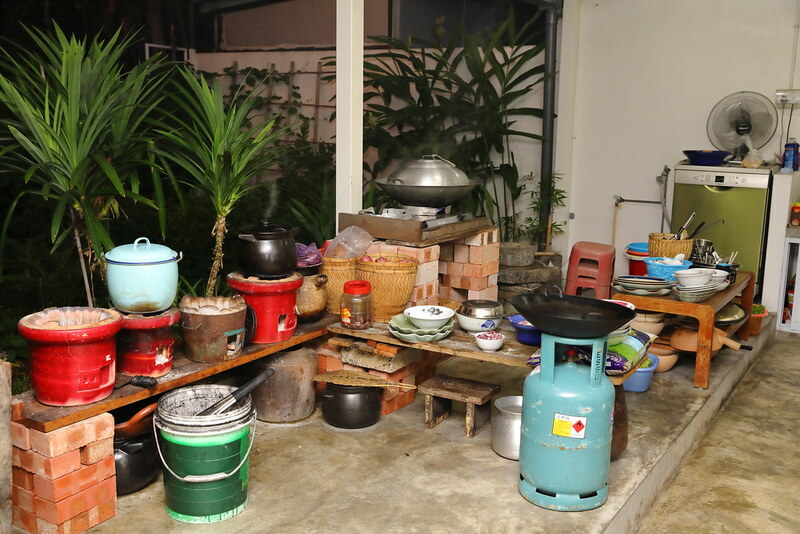 There are 2 rooms at Chef Sam Wong's home. We are seated at the bigger room which can sit up to 16 guests. The small room sits around 8-10 pax. Don't worry, it is air-conditioned, so you can dine in comfort. Chef Wong does welcome his guests to step into his kitchen. This is probably the kitchen where one's grandmother used to cook in. 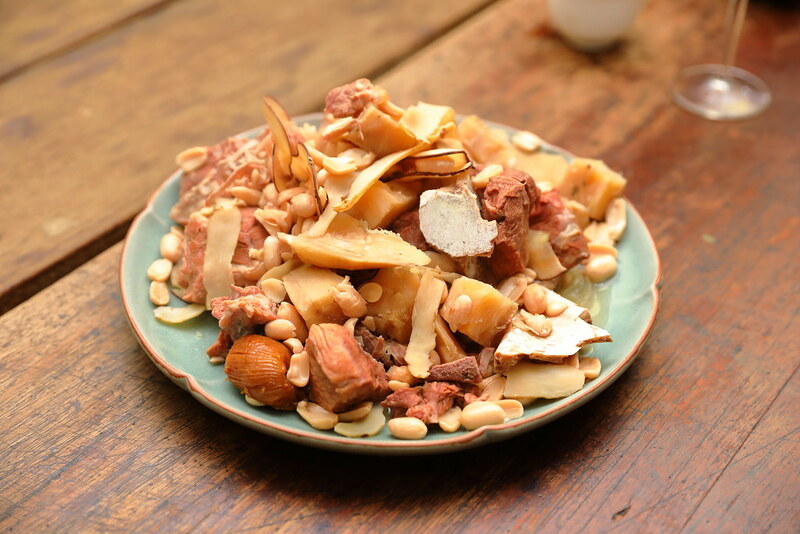 At Lucky House, this is where Chef Wong works his magic. Our first dish is the Charcoal Boiled Pork Shoulder, Arrow Root and Peanut Soup. This has been slow cooked over charcoal fire for hours. 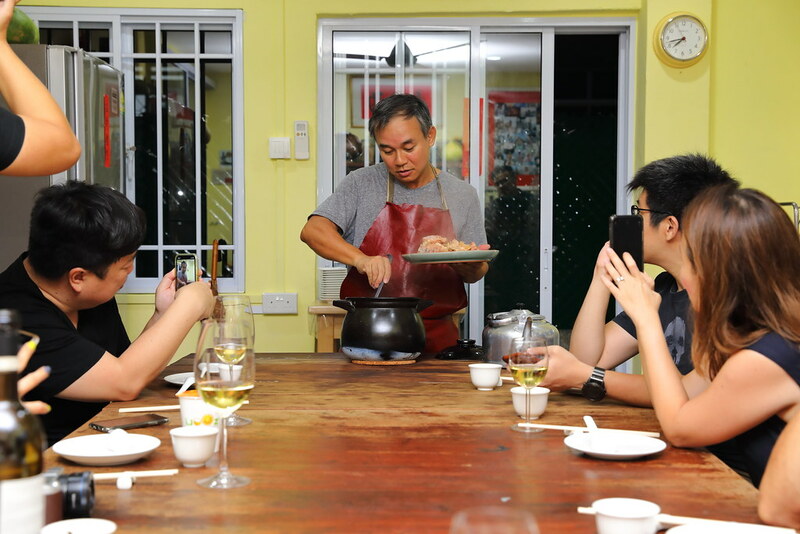 Accordingly to Chef Wong, he used 3 batches of charcoal to cook this pot of soup. No salt is used either. For some, this may taste a little bland but I actually enjoyed the natural flavours extracted from the different ingredients and herbs. I noticed Chef Wong was frying the shallots before drizzling them over the the Steamed Wild Caught Red Garoupa. 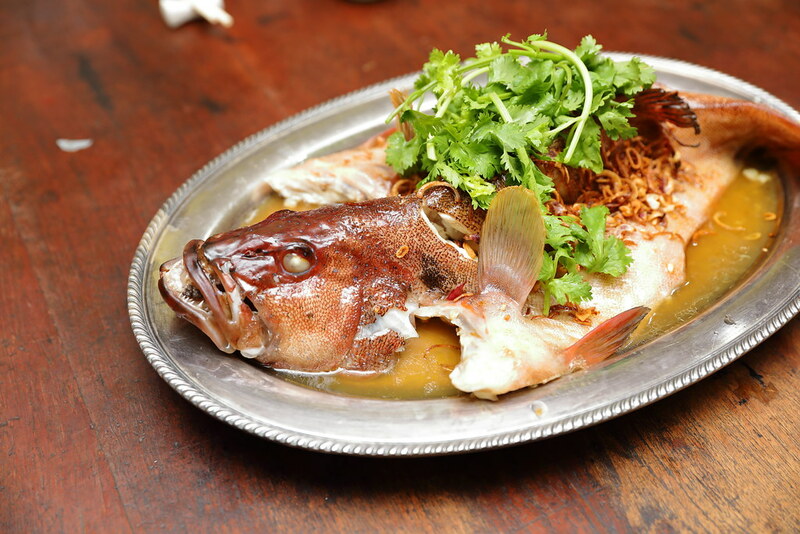 It gives the fish a beautiful aroma, complementing the freshness of the wild caught fish. 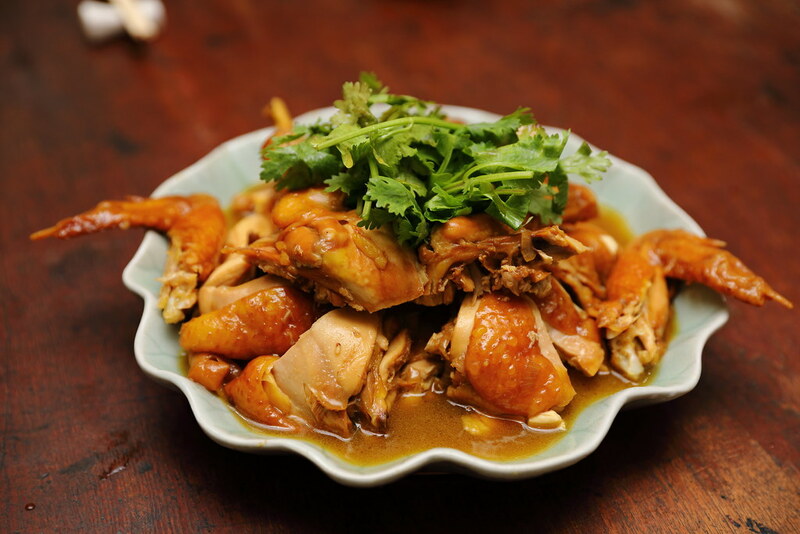 I not sure why the dish is called Concubine Chicken but the sight of it just makes me want to sink my teeth into them. The flavoursome chicken was tender and juicy. One of my favourite dishes of the night. 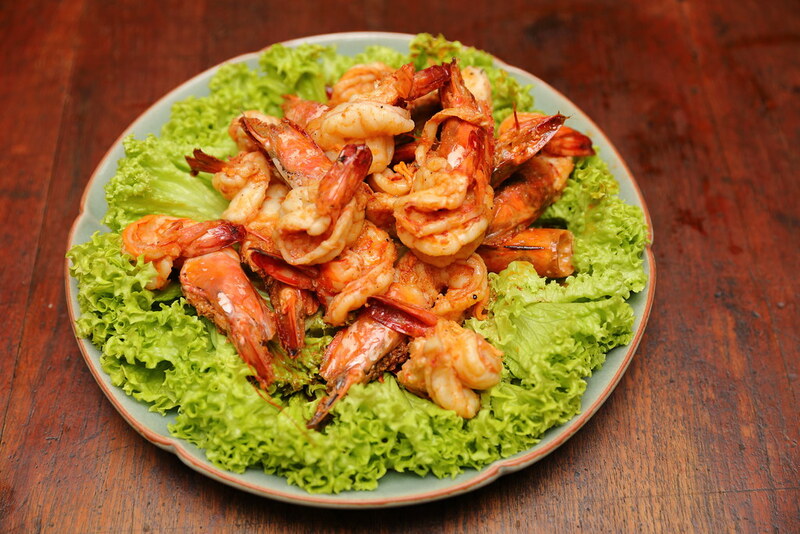 The Fried Prawn with Rose Liqueur was plump, huge and crunchy. 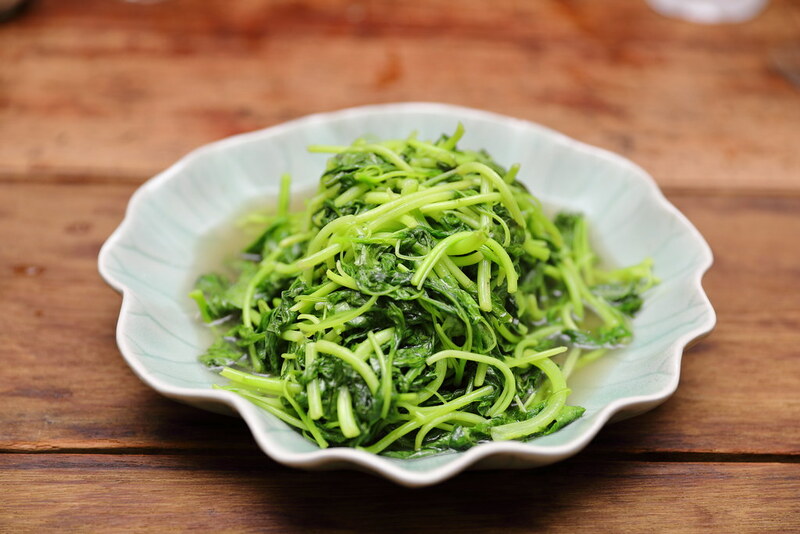 I find the seasoning a bit heavy for this dish but it goes well with a bowl of plain rice. 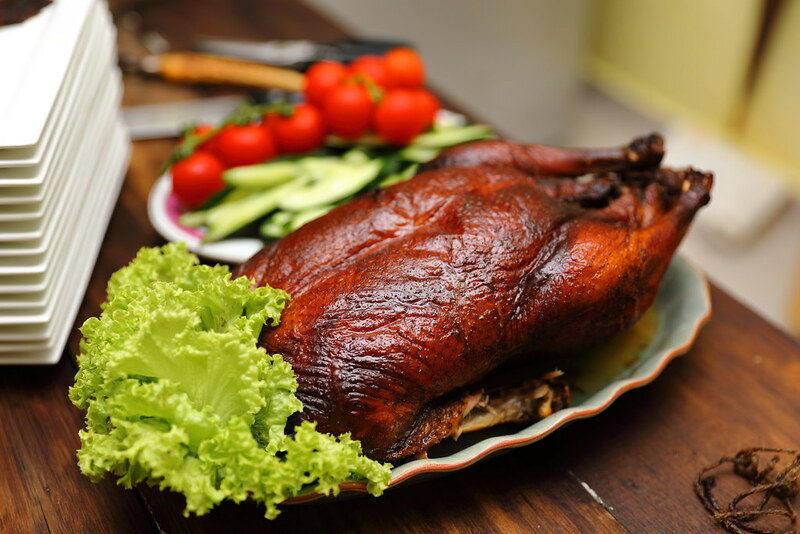 A signature is the Lucky House Roasted Duck. 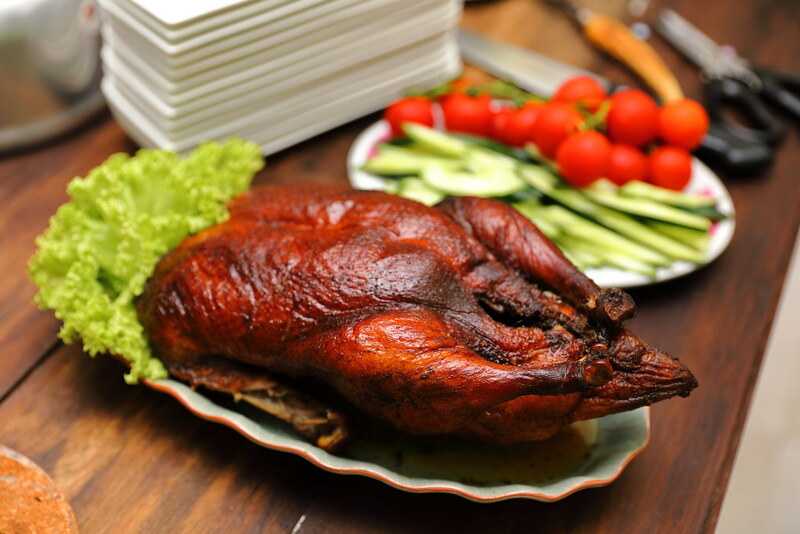 The duck is marinated in fish sauce and soy sauce for 2 days and air dried. It is then charcoal grilled in his hand-built oven. 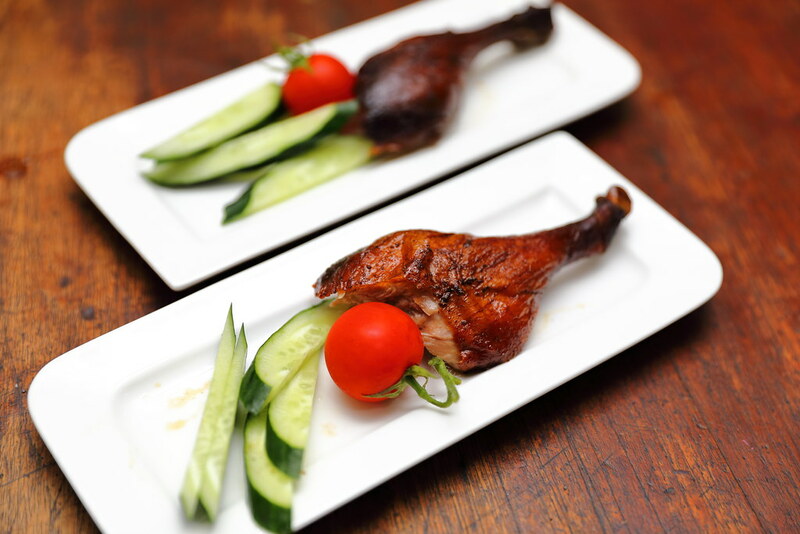 The result is smokiness, crispy skin and tender meat. Chef Wong doesn't like to use salt and garlic in his cooking. Hence we are surprised how sweet the Fried Organic Vegetable tasted. He shared that he uses fish sauce in placed of salt. On top of that, these vegetables are freshly harvested from a local farm. The dining group's favourite dish has to be the Crayfish Omelette. I think we all have the initial thought that it is just a simple egg omelette dish. 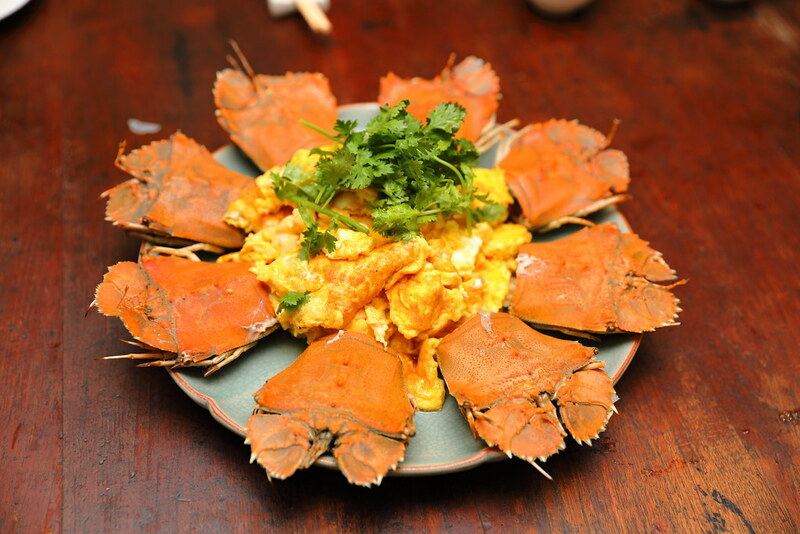 Never did we expect that the fluffy egg cooked to golden brown with chunky crayfish meat is such a perfect match. It has brought my love of egg omelette to a whole new level. 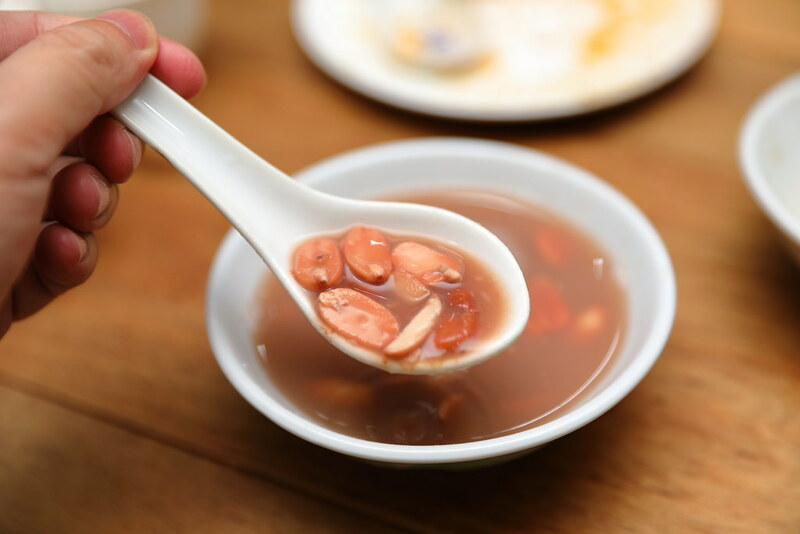 Wrapping up our dining is the Shandong Peanuts and Kidney Beans Soup. Mildly sweetened with the used of rock sugar, I enjoyed the nutty soup which is quite refreshing after all the richness from the previous dishes. It is like have a cup of tea after a great meal. 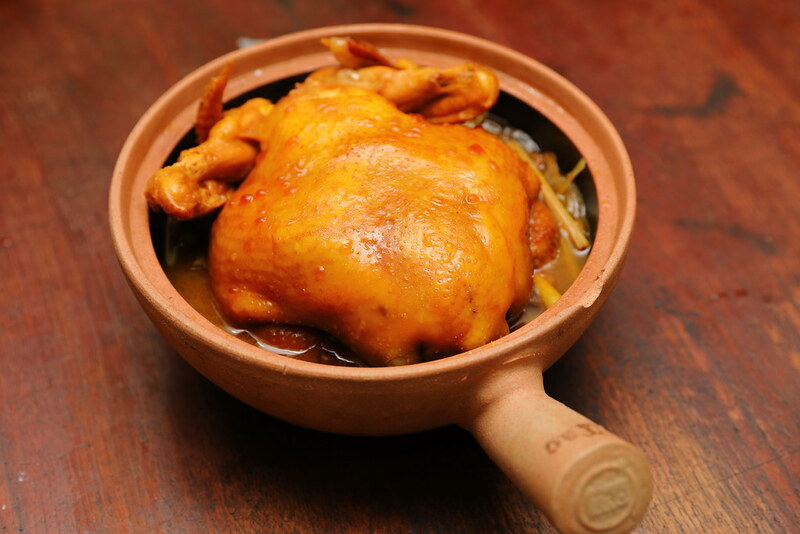 For those that is hoping to dine at Lucky House Cantonese Private Kitchen, you have to be patient as the reservation is up to a good 2-3 months now. For those driving, parking is very limited. You have to park around Evergeen Gardens private estate. You are also welcome to bring your own wine as there are no corkage here.